With the Venezuela elections of May 2018, questions of “Will Venezuela recover?” or “Will Venezuela collapse?” arise. When seen in a regional context with Argentina’s current currency woes, some have wondered if the next global financial crisis is brewing. I do see the Argentina-Venezuela developments as a possible trigger for a market collapse. This blog-post attempts to summarize some of the anthropological resources and bibliography available for a longer-term perspective on Venezuela. Please let me know what I’m missing! Anthropologists have long provided unexpected insight and prescient analysis. To the question of “Will Venezuela recover?” anthropology posits that human resilience and creativity is always a possibility. Coronil, Fernando. 1997. 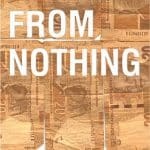 The Magical State: Nature, Money and Modernity in Venezuela. Chicago: Chicago University Press. Fernando Coronil’s 1997 book is a classic yet prescient look at the history and consequences of Venezuela’s oil boom. For more from Coronil, see the Fernando Coronil, In Memoriam post from 2011. Roseberry, William. 1983. Coffee and Capitalism in the Venezuelan Andes. Austin: University of Texas Press. William Roseberry was one of the people most responsible for reviving the Marxian perspective in anthropology that Eric Wolf and Sidney Mintz had been drawing upon as a theoretical framework since the 1950s. I recently discussed a Roseberry article on yuppie coffees for a blog-post on Starbucks Enlightenment: Is Anthropology better than Starbucks? Schiller, Naomi. 2018. 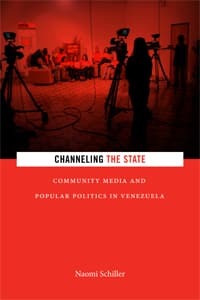 Channeling the State: Community Media and Popular Politics in Venezuela. Durham: Duke University Press. A promising book in publication for October 2018.
Cooper, Amy. 2015. “The doctor’s political body: Doctor-patient interactions and sociopolitical belonging in Venezuelan state clinics.” American Ethnologist 42(3):459-474. Gulbas, Lauren E. 2017. “Transformative Possibilities: Politics and Cosmetic Surgery in the Bolivarian Revolution.” Medical Anthropology 36(7):642-656. Kappeler, Aaron. 2017. “From reactionary modernization to endogenous development: the revolution in hydroelectricity in Venezuela.” Dialectical Anthropology 41(3):241-262. Ruette-Orihuela, Krisna, and Hortensia Caballero-Arias. 2017. “‘Cimarronaje Institucional:’ Ethno-racial Legal Status and the Subversive Institutionalization of Afrodescendant Organizations in Bolivarian Venezuela.” The Journal of Latin American and Caribbean Anthropology 22(2):320-338. Ryan, Michael J. 2011. “Pueblo street fighting to national martial art: Nation building and the nationalization of a Venezuelan civilian combative practice.” American Ethnologist 38(3):531-547. Schiller, Naomi. 2013. “Reckoning with press freedom: Community media, liberalism, and the processual state in Caracas, Venezuela.” American Ethnologist 40(3):540-554. Samet, Robert. 2013. “The photographer’s body: Populism, polarization, and the uses of victimhood in Venezuela.” American Ethnologist 40(3):525-539. Wilde, Matt. 2017. “Utopian disjunctures: Popular democracy and the communal state in urban Venezuela.” Critique of Anthropology 37(1):47-66. Cultural Anthropology in 2015 ran a special series “Protests and Polarization in Venezuela After Chávez” by Amy Cooper, Robert Samet and Naomi Schiller. The series features many of the authors cited above. The Zero Anthropology blog has featured a number of posts on Venezuela over the years. See the index-tag for more.